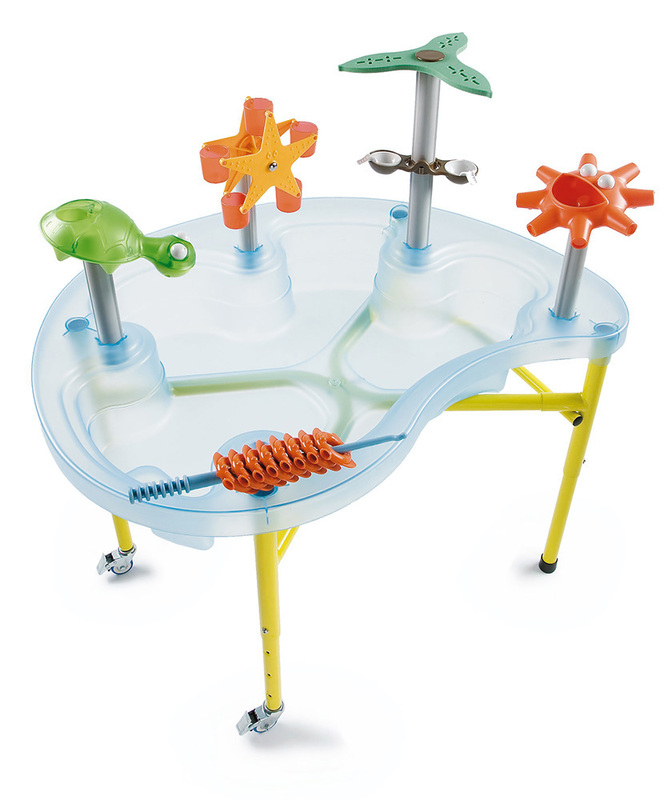 The SeaWeenies plastic tray is perfect for both indoor and outdoor physical play with a uniquely designed tray and a variety of educational toys designed with early education in mind to teach children in a fun and inspiring way. 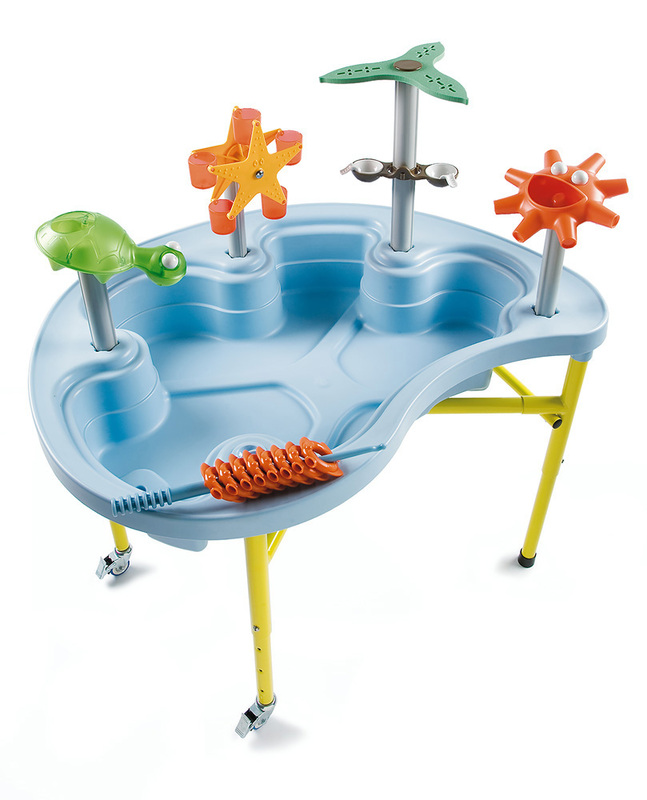 The shape of the SeaWeenies tray is cleverly designed so two trays can sit side by side, ideal for group play. 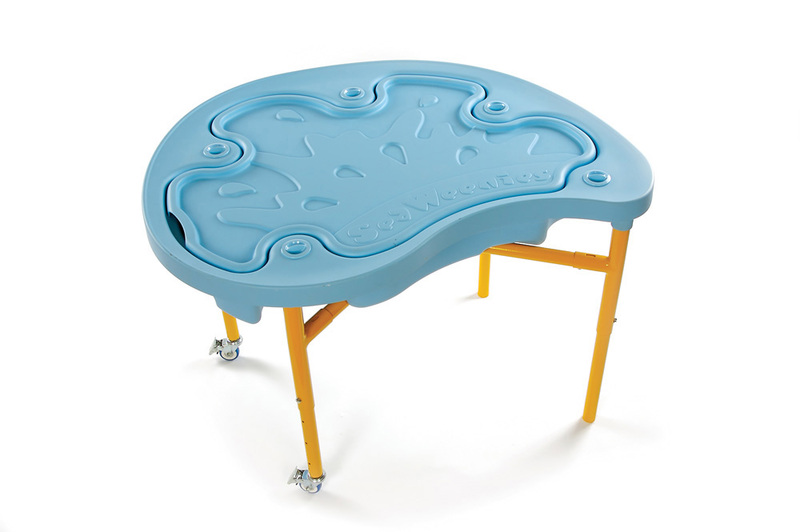 The SeaWeenies tray is manufactured from ABS plastic complete with an inset lid and a yellow steel frame. 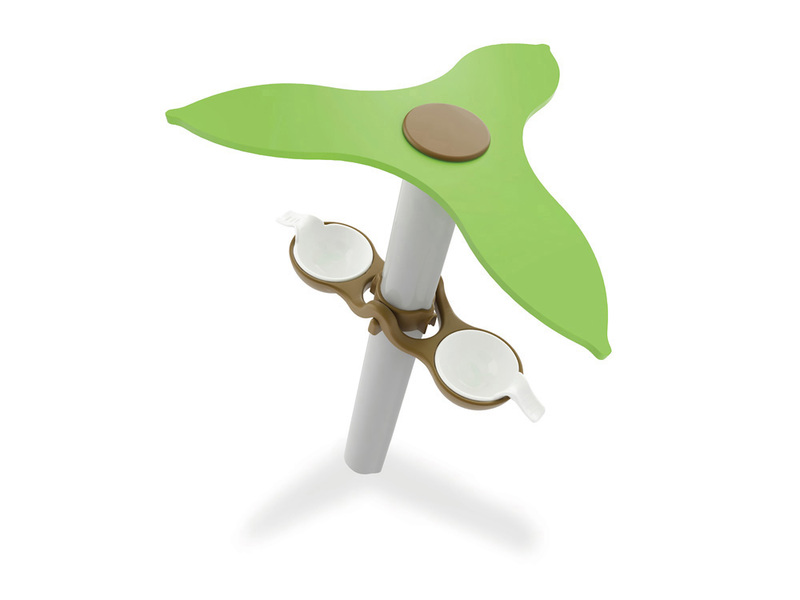 For convenient transport and storage the frame has two lockable castors on one end to ensure the tray stays in place during play. The tray itself is available in either blue or clear and includes the palm tree coconut scales toy. 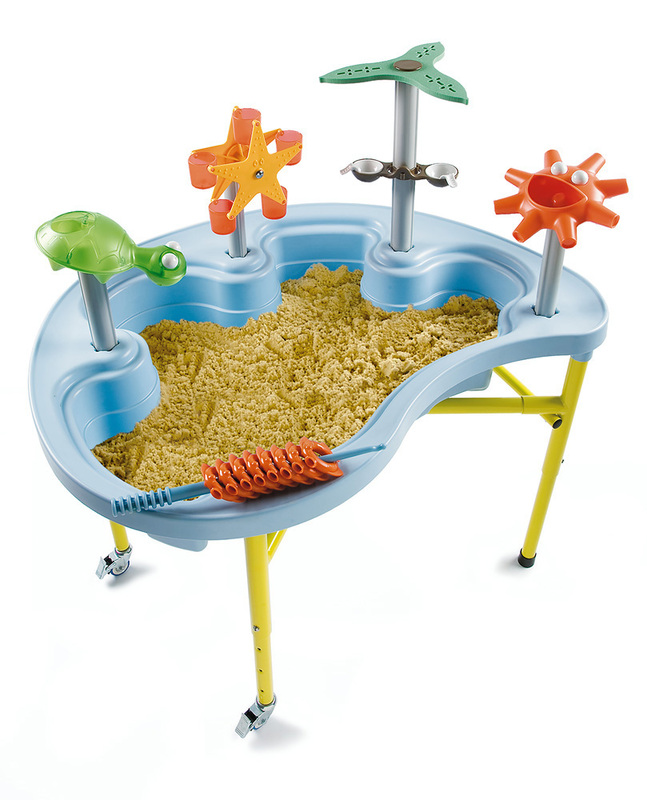 Please note: only the palm tree with coconut scales toy is included with the SeaWeenies tray. All other toys featured in the product images are available separately - SeaWeenies Toy Pack. Please Contact Us or alternatively call for more details on 01733 511121.